I grew up in the organized church, and I know the pastor was the focal point of every church I attended. In the Methodist church, if the pastor was not liked, he usually got voted out and moved to a new location by the board and district office. Later, as I became dissatisfied I would leave one church and go to another. That became pretty common, people going from church to church looking for the right pastor. We want someone we can relate to, someone who will give us food for thought and keep us interested during the weekly sermon. As soon as one of those needs are not met, or the pastor steps on our toes, we pack up and move on. More recently I began to wonder why the pastor was the main go-to person in the church. Why did I and many others think the clergy seemingly had all the answers and was ordained to guide us lower level laity in spiritual matters? And why did it seem a lot of pastors would teach saved by grace, but live by law? Do some pastors take advantage and teach law on purpose. Yes, I think some do. Some like the power and prestige of their job and they want people looking to them for guidance. Do some pastors take advantage of teaching law for monetary purposes? Yes, I think some do. What better way to get the money rolling in for mortgages, salaries, utilities and monthly budgets than by telling their members tithing is a requirement? Do all pastors do things like that, wanting power and control and financial gain? Of course not. I think most are doing their job out of love for God and for their congregation. After all, this is the only system all of us know. This is the system that has been in place for hundreds of years. Our church system with its pastor, board of elders and worship team is what most of us think is the way it should be done. Yet I have come to think that pastors are put on a higher level spiritually, and we all look up to them as our spiritual leader and guide. I think this way of thinking is wrong. I think the problem is most of us never question what we are taught. Most of us do not put a lot of effort into learning and hearing from God for ourselves. We think that is the pastor’s job and he will tell us what the truth is. The problem with that is they were taught by a previous pastor, who was taught by a previous pastor and on and on. Most pastors were taught from a bible college backed by a particular denomination and its doctrines. It becomes an endless cycle. It becomes so easy to look to others for information rather than make the effort to learn for ourselves. Most of us do not want to question things and learn only by the Holy Spirit. Even though we are told we do not need anyone else to teach us, most of us are more than ready to run to the pastor or mega-church to find out what God is saying. We seem to forget that Christ is the head of the Church, and we are to look to him and not any other human. Each of us are equally important and functioning parts of the body. No one is above or below anyone else. Even those we consider leaders are not better than anyone else. Leaders should lead lovingly by experience, out of love for others and to encourage their fellow brothers and sisters along the way. Most churches are in existence as a place for believers to meet and worship God. Yet the modern day church seems to teach both grace and law. Once you are saved by grace, you need to do, do, do. Try to live up to the law, be active and busy trying to pay God back for saving you by grace. They say God will help you in the times you fall and cannot measure up. To me, this is still teaching that it is partly by our effort that we earn our salvation. We seem to forget that the law was given as a tutor to lead us to Christ. Once Jesus came into our world, things changed. Once Jesus died, the old covenant was fulfilled and a new covenant went into effect, an agreement of grace. Remember, the New Covenant did not start in Matthew 1. The old covenant was still in effect throughout the ministry of Jesus. He was born under the law and taught law, mainly to show us that we were not able to live up to God’s requirement of perfection. I truly believe that most organized churches and pastors are doing what they feel is right, and doing so out of love. The problem for a lot of us who are the ‘dones’ (those who no longer attend church or look to organized religion), is that we feel the traditional organized way church is set up is not what God intended, and we feel a separation from the people still in institutional church. It becomes an ‘us versus them’ way of thinking, which ought not to be. We are brothers and sisters in Christ no matter what we do or do not do on Saturday or Sunday. I feel that the Church that Jesus is building is not a building or an organization. 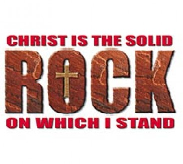 Jesus is building an organism made up of living stones, a community of believers saved by grace. The Church is not a place we go, it is each of us living in the power of the Holy Spirit each and every day. No matter what denomination, doctrine, or way of living we choose, it should not be something that makes us enemies with others. All people, no matter what their beliefs and way of life, should be accepted and loved. That is the Jesus way, loving others. The thing is, whether you are an active member of a particular church, or if you are done with religion and the institutional church, we should be able to accept one another and get along in love. We should remember, all people were created in the image of God. Sin separated us from our Father, but Jesus came and fulfilled the law. Our sinful nature was crucified with Christ on the cross. In Christ, we are now dead to sin, and filled with His Spirit. Because of Christ, we are now considered holy and righteous in Him. Nothing we do or do not do makes us any more acceptable to God. Because of this, we should no longer look at others in this ‘us versus them’ mentality. No one is better or worse, more loved or less loved, or more important than anyone else. Christ is the head of the Church and each of us are equally functioning parts of his body. We do not look to a pastor, pope, or elder for guidance, but listen for the guidance of the Spirit of Christ who is within us. Obviously, not everyone believes this. That does not make it untrue just because some do not believe, yet we realize it is a belief. We cannot prove anything to anyone. We cannot prove God exists, just as an atheist cannot prove God does not exist. To a christian, just because we cannot prove God exists we still believe because of faith. To an atheist, it is not lack of faith, it is lack of proof. There is no way to prove God is there, so they do not accept that he is. I believe it is the Holy Spirit who convicts and draws people to God. I do not believe it is our responsibility to try and change the minds and views of others. It is not our responsibility to convert others and convince them God is real. God can take care of himself. What we can do is exactly what we read in the bible, love God and love others. That is it. We need to remember that there are those who do not see things our way and that is OK. We are not responsible to save the world or make them see things our way. Whether male or female, black or white, gay, straight, LGBT or asexual, if an atheist, christian, jew, muslim or whatever, we are all people who deserve to be loved and accepted. Is it wrong to talk to people and tell them what we believe and why we have faith in God? No, it is not….as long as they want to know. Our witness and our way of preaching the gospel should be our lifestyle, not just our words. If people see something in us and they ask why we do something or why we believe a certain way, then yes, in love, tell them. But we are not to go out and force our views on others trying to convert them to our way of living. And in turn, as christians we need to be open and accepting enough to truly listen to those who have different views. And do that without having the underlying intention of later on trying to convince them their way is wrong. Believe it or not, God loves each and every one of us. If we believe or not, if we accept by faith or do not accept due to lack of proof, God still loves us. Those of us who are His followers are to show the same love to everyone we meet along the way.